It’s not too late and you’re never too far. 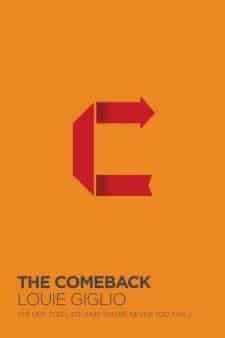 Louie Giglio’s latest book, The Comeback, is a lightweight handbook for those who feel God has given up on them. Described in terms of a “comeback,” Giglio walks his readers through the process of coming back to God’s purpose and plan. “No matter what our obstacles are, no matter what mistakes we’ve made, no matter if we’re in a season of wandering or darkness,” he writes, “God will still call you back to himself. The comeback starts now. He casts the whole framework of living in the context of giving glory to God. I appreciate Louie Giglio’s honesty and frankness here. “Yes,” he admits, “Everything may be in shambles for you, but God continues to be good. He continues to be sovereign, and he continues to care for you.” This is not an easy position to take, but Giglio does it admirably. The Comeback balances regard for the truth with a careful compassion for the reader, who may be scarred, hurting, or afraid. The Comeback seems like a book that’s best used in the context of a relationship. While some may pick this book up on their own, seeking help, I can see this book being much more effective in the context of a family relationship or friendship. 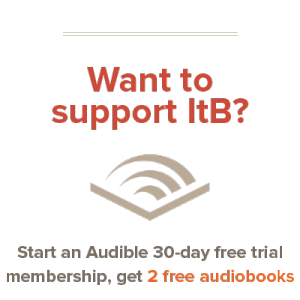 It’s a great book to read through with a friend who’s hurting, leaning on the strength of the relationship, rather than the strength of the book. I can’t really say if it would be effective in your situation. But Louie Giglio has written a book that balances truth with compassion, and for that, it’s worth commending. I’d recommend The Comeback if you, or someone you know, feels like God has abandoned them, or feels that their life is in shambles. As The Comeback says: God is always in control, and he will never turn you away. It’s not too late. You’re never too far. Good review, Andrew. Love it when authors who write on this subject make Jesus the focal point.